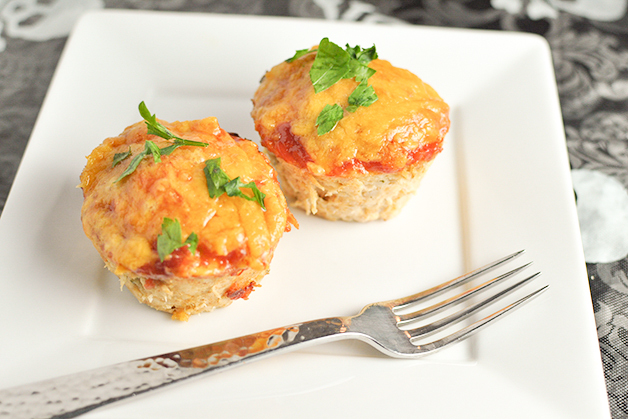 These mini meatloaves are a nice change from the everyday meatloaf. 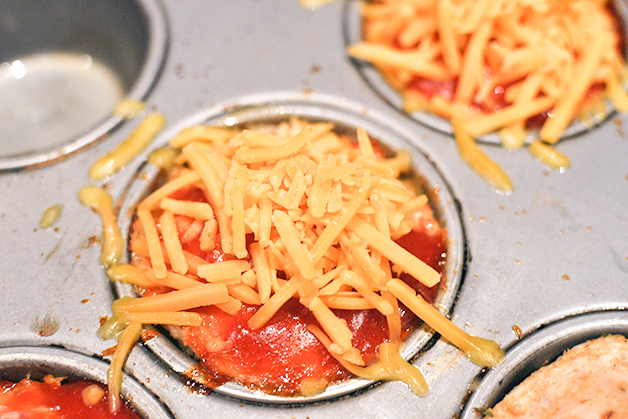 Making your meatloaf in a muffin tin is fun but also ensures perfect portion sizes every time. I love to make a batch of these up in the beginning of the week, and then they are ready to pop into the microwave for a quick meal. This cheddar meatloaf muffins recipe is inspired by the flavors of a classic cheeseburger made a little healthier by swapping out the beef for ground chicken. Easy to make, easy to freeze. Brilliant! Step 1: Preheat oven to 350 degrees. 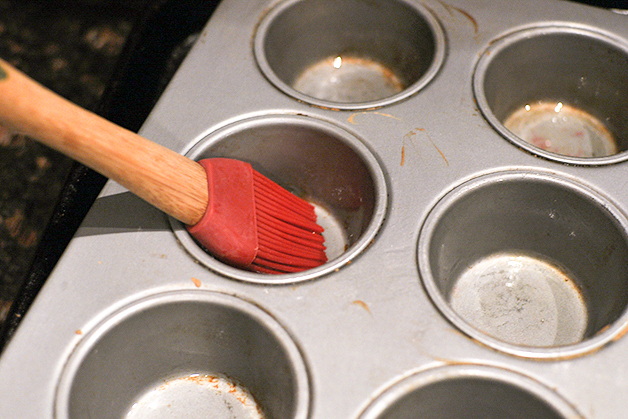 Grease a 12-cup muffin tin with oil. 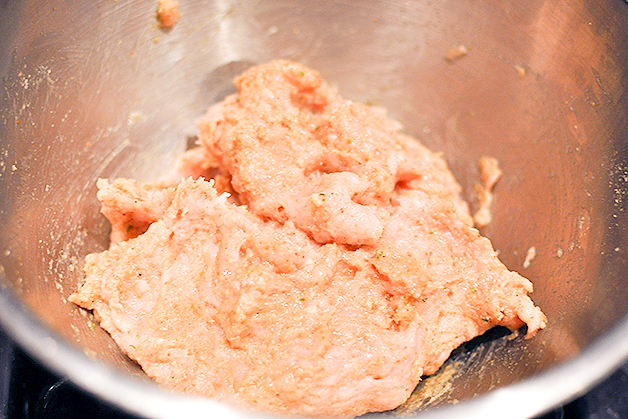 Step 2: In a large bowl combine ground chicken, garlic, bread crumbs, and egg. Mix with your hands until just combined. Step 3: Evenly distribute the chicken mixture amongst the muffin cups and press down to flatten the tops. 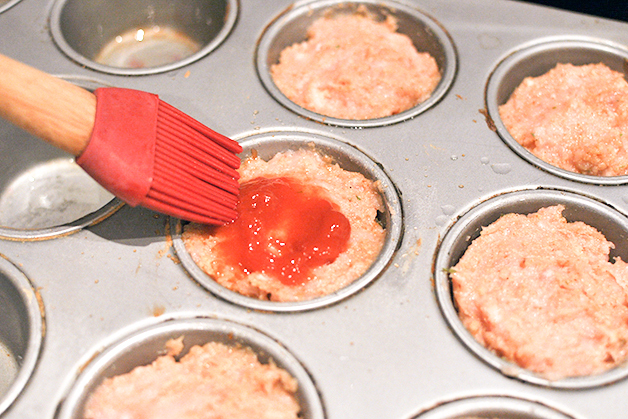 Step 4: Brush the tops of each meatloaf muffin with ketchup (be generous---you want a nice layer), and then place in oven. Step 5: Bake meatloaf muffins for approximately 15 minutes, and then rove and evenly distribute shredded cheddar over the top of each muffin. Place back into oven and bake for 5 minutes more until cheese is melted. To remove, run a sharp knife around the edge of each muffin and lift out with a fork.